I read women’s magazines while in line at the check out… Because they’re full of women. Plus, I get to learn what women consider important. It’s almost like women’s magazines should actually be for men. 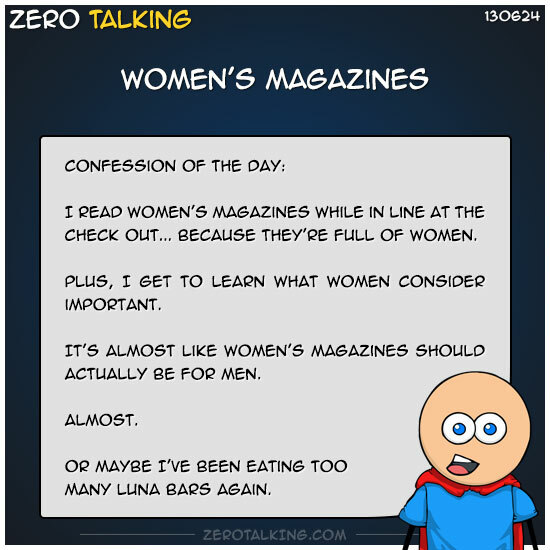 Or maybe I’ve been eating too many Luna bars again.